Breastfeeding Mama Talk reviews Fairhaven Health's Brilliant first in first out breastmilk bag storage system, The Milkies Freeze! To order this fabulous storage system for yourself simply click on the link! I was sent the Milkies Freeze from Fairhaven Health (Creator Helen Anderson) in the mail so I had the pleasure of getting to see it up close and personal. I did a little video where I talk about The Milkies Freeze & Milk Saver as well, which I will also be including in this review. I then sent The Milkies Freeze, Milk Saver, & Nursing Blend Vitamins to Breastfeeding Mama Talk Volunteer Johna, to be able to put all those products to good use! So for now, we will focus on the brilliant, first in, first out, Breastmilk bag storage system.- The Milkies Freeze. The Milkies Freeze first in first out system allows you to get the oldest bag out each and every time! First I have to say, Where was this nifty thing when I was breastfeeding almost 4 years ago?! It's a genius idea for the pumping mama. 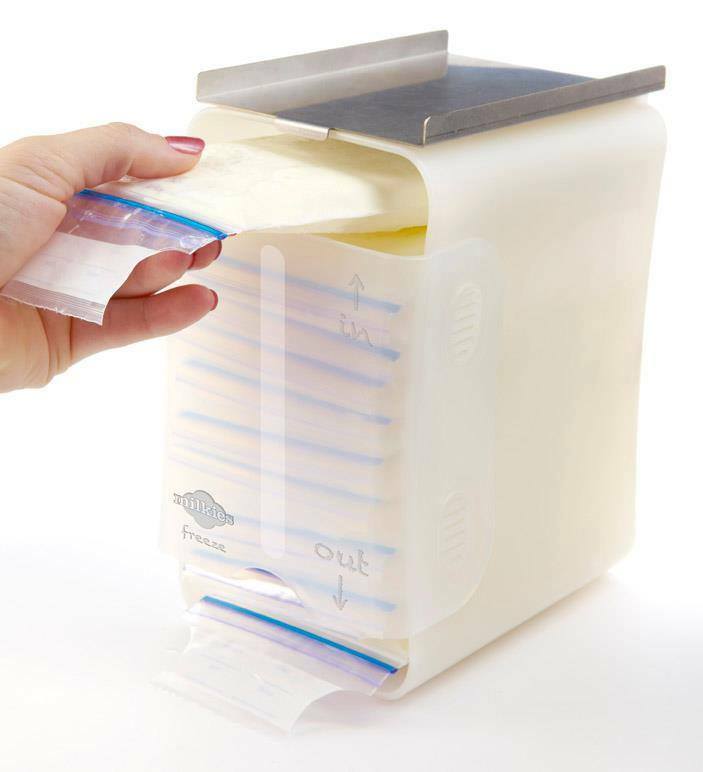 It keeps your bagged breastmilk neatly organized in your freezer, fridge, or both! It's unique first in first out design allows you to put the breastmilk storage bag in through the top and when you go to get your milk out you would pull out through the bottom. That way you always get the oldest milk first. Johna, got to put the Milkies Freeze to use and her feedback was, "I really like this thing. I think it will come in handy for my husband when I'm at work. The top thing does help the bags freeze faster and more Flat. This would be great for a pumping mamma or even the babysitter while moms at work. Its really Easy to pull the oldest ones out of the bottom and insert the fresh frozen bag on top."